PRIME PROPERTY LAND FOR SALE IN SANTA RITA ROAD, COROZAL TOWN, BELIZE, CENTRAL AMERICA, C.A. 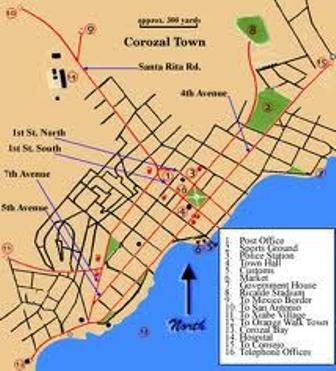 LOCATED IN SANTA RITA ROAD, COROZAL TOWN, COROZAL DISTRICT, BELIZE, CENTRAL AMERICA, C.A, NEAR THE VENUS BUS TERMINAL, AND IS ON THE MAIN HIGHWAY LEADING TO THE NORTHERN BELIZE/MEXICO BORDER, THE COROZAL FREE ZONE AND CHETUMAL, MEXICO. PROPERTY IS APPROXIMATELY 1 ACRE (4,368.5 SQUARE YARDS) WITH STREETS ON THREE SIDES OF THE PROPERTY AND IS LOCATED SIX (6) BLOCKS FROM THE COROZAL BAY.INTERESTED PERSONS PLEASE CONTACT ROSALIA AT (501) 422-2960 OR MEL AT (501) 607-9177 OR JOSE AT 624-2296, ROSY AT 635-2716 OR CONTACT AT EMAIL: melar25@yahoo.com FOR FURTHER DETAILS.